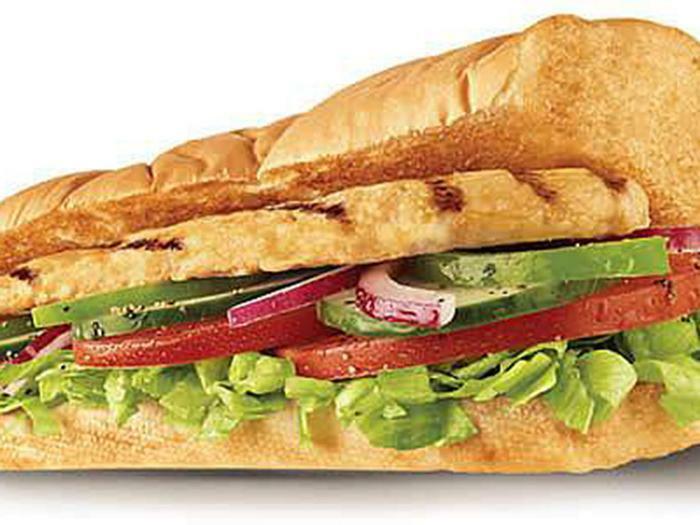 Subway’s press team is vehemently denying reports that the majority of its chicken strips are not composed of chicken. Lab tests funded by the Canadian Broadcasting Corporation indicated that a sample of Subway’s chicken strips are only 42.8 percent chicken DNA, CBC Marketplace reported last week. His statement is a departure from previous comments the sandwich chain made to the Canadian Broadcasting Corporation. Subway initially suggested that a supplier could be to blame and admitted to using just a small amount of soy in its chicken. "Our recipe calls for one per cent or less of soy protein in our chicken products,” Subway said to CBC last week. "We will look into this again with our supplier to ensure that the chicken is meeting the high standard we set for all of our menu items and ingredients." Public health researchers have been concerned for years about the additives that food companies use in meat and other foods to stretch their product, and dollars, as far as possible. Research published in the Annals of Diagnostic Pathology in 2008 found that fast food hamburgers, on average, contained only 12 percent meat, with half of the burger being made of water. McDonald’s then faced unwelcome scrutiny on the composition of its hamburgers and chicken nuggets several years later, when the television program Jamie Oliver’s Food Revolution introduced viewers to “pink slime.” Composed of left-over meat parts normally perceived to be unfit for human consumption, the “slime” was then treated with ammonia to kill harmful bacteria. The resulting gooey, pink product would eventually turn into a a much more appetizing-looking McNugget, Oliver’s report charged. McDonald's denied using "pink slime" in its McNuggets but later announced that it had discontinued using ammonia-treated beef in its burgers. “This product has been out of our supply chain since August of last year,” McDonald’s said of ammonia-treated beef in 2012. “This decision was a result of our efforts to align our global standards for how we source beef around the world." Noting that chicken is often perceived by consumers to be “the healthy choice,” the Canadian Broadcasting Corporation hired DNA researchers to test samples of chicken from McDonald’s, Wendy’s, A&W, and Subway. Subway stood out for the relatively low amount of chicken found in its chicken. While chicken from the other fast food chains averaged at least 84.9 percent chicken, Subway’s chicken strips were comprised of less than 50 percent chicken, at 42.8 percent, and its chicken breast was found to only be 53.6 percent chicken DNA. The remainder of the product, according to the report, is soy. But none of the results were comforting from a health perspective—overall; the researchers said that fast food chicken contains about a quarter less protein than home-cooked chicken and as much as ten times more sodium.